Insomnia is a very common problem. Insomnia symptoms can be seen in up to as many as 35% of the population. Insomnia disorder is a diagnosis that is made based on certain criteria including symptoms, frequency and duration of symptoms and typical rates are around 10%. Age and other medical conditions including psychiatric disorders such as depression and anxiety, as well as arthritis, fibromyalgia may increase the likelihood of insomnia. Insomniacs suffer an impairment of the quality of their sleep, with complaints such as difficulty falling asleep, frequent awakening during the night and short duration of sleep. There is often un-refreshing sleep with consequent daytime symptoms such as fatigue, poor concentration, memory loss and inability to maintain relationships or perform at their work. Insomnia is often precipitated by an acutely stressful event and can be transient in nature, with return to normal sleep patterns upon resolution of the stress. It is thought that some individuals may inherit genes that increases their predisposition to insomnia. These genes typically affect the biological clock rhythm or metabolism of neuro-chemicals in the brain that affect sleep such as serotonin or GABA. Who is more likely to suffer from Insomnia? You may be more likely to suffer from insomnia if you have a positive family history of insomnia, in particular if your mother suffers from insomnia. These genes may be activated in times of stress and result in insomnia during stressful times. Activation of these genes do not involve changes in the DNA that you have but involve minor switches that tag the DNA and result in the up-regulation or down-regulation of the function of these genes. These epigenetic changes to the DNA may be temporary or may be more permanent, especially if there are multiple stressful events or if stress occurs at particularly vulnerable times such as to the fetus during pregnancy and during early childhood. Long term up-regulation of gene function can result in changes in activity in certain parts of the brain and these in turn may be associated with changes in the physical structure of the brain. These changes may not only drive insomnia symptoms may also result in some of the consequences of insomnia such as inability to regulate emotions and cognitive impairment. Insomnia can lead to an increased risk for other conditions such as depression and anxiety disorders and treatment should be sought early. Sufferers of insomnia have been demonstrated to be in a hyper-aroused state. These changes include increases in heart rate, body temperature, as well as increased anxiety especially to negative sleep cues. This hyper-aroused state is demonstrated both during the day and the night, in particular in the evening as the insomniac is anticipating night and the need to get to sleep. It is thought that this increased concern with sleep, as well as increased effort placed on getting to sleep may drive the hyper-aroused state and turn a transient episode of insomnia into a chronic one. Often the knowledge of the importance of sleep as well as the link between reduced sleep and other medical disorders such as anxiety, depression and heart disease, further increases stress. How can Insomnia be managed? Interventions that are successful at treating insomnia typically need to address unhealthy beliefs about sleep and improve stress coping mechanisms. Cognitive behavioural therapy, daily exercise and some medications associated with successful therapy of insomnia may also work through reversing the epigenetic changes that were activated by stressful events. Recycle WordPress Theme was designed to promote environmental quality, recycling and corporate sustainability. It is suitable for any green business, waste management company, environmental-friendly industry, organization or project. 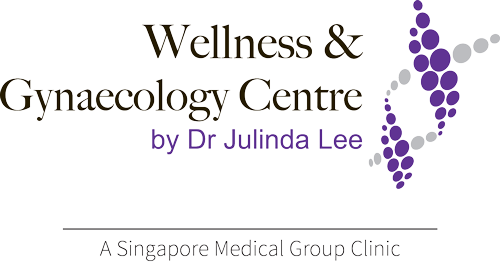 Copyright © 2019 Wellness & Gynaecology Centre by Dr Julinda Lee. All Rights Reserved.